If you are fond of video games then you are sure to fall in love with the Sony Playstation 3 games which has high quality graphics and storyline. 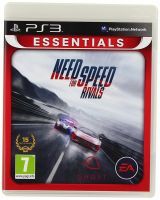 You can find a wide range of Sony Playstation 3 video games on DealsCorner from well-known brands and online stores. At DealsCorner, you have the flexibility to find products from all major online stores like Flipkart, Infibeam, Amazon, Shopclues, etc. on single platform. Search the product you need, compare the prices offered by the famous stores and then choose the product of your choice in the lowest price range available in India. The Sony Playstation games were first launched in 2006 around the world. It has been one of the top selling games since then. With the introduction of the playstation 3, which is also known as PS 3 games, the gaming world has totally changed. The PS3 games offer high quality resolution, graphics, faster loading time, and wireless facilities. Currently, there are more than 750 game titles of PS 3 which can be played using various accessories like cameras, controllers, headsets, remotes, etc. 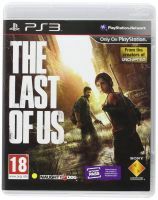 There are several improved features in the PS 3 games which enhances the gaming experience of the player. With the latest console of PS 3 you can have enhanced gaming and online experience. 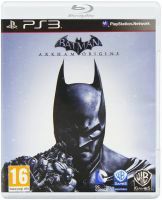 The PS 3 games have advanced graphics which are not available in its previous systems. 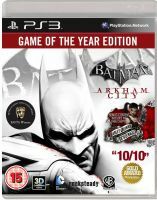 The high quality Blu-ray graphics provides you crystal clear images which lets you enjoy the games with more detailing. The PS 3 is also compatible to play PS 2 or PS 1, so if you wish to enjoy your older games collection, then you can do so. You can also enjoy the PS 3 with your family and friends as it support multi-player modes. You can easily accommodate up to seven controllers in single console by which players do not have to wait for their turn. With the PS 3 online gaming facility you can also play with millions of other gamers from all around world and enjoy your global gaming experience. The PS 3 devices come with USB facilities by which you can easily transfer the media files from other devices to your PS 3 system. You can access the media file directly using the PS 3 system, or you can transfer it to the large hard drive to retrieve it later. You can also listen to digital music or audio CDs using the PS 3 console. To enhance the sound clarity and experience you can also connect the PS 3 with surround sound speakers like 7.1 or 9.1. With PS 3 online capabilities, you can connect to other online gamers and win trophies or achievements. For online games, you need to connect the PS 3 with your broadband or wireless internet. You can enjoy your PS 3 games with several accessories like PS Move, PS eye, Microphones, Bluetooth headsets, additional controllers, etc. You can find PS 3 games from any local store, but most of the local stores have limited stock or brands. 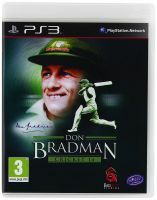 At DealsCorner you can find PS 3 games from all major online stores and brands on the single platform. Search the product you need, use the filtering options to narrow the search results, compare the products and prices offered by various online stores and find the product of your interest in the reasonable price range available in India. Enjoy your shopping on DealsCorner and keep posting your reviews.